Sponsored by Skagit Valley PFLAG, this event features special guests Seattle filmmaker Drew Emery, and two of the film's lead subjects, Tammy Snow and Dayna Tolman, who will join the audience for a Q&A and discussion after the film. This is a community-wide event where ALL are welcome! Come out and join us in celebrating love, equality and good storytelling. 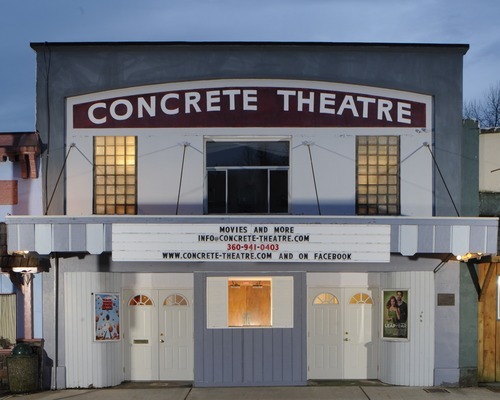 The Historic Concrete Theatre is the oldest theater in Skagit County, having been built in 1923. Over the years has hosted everything from boxing matches on its stage to the earliest silent films on its screen. Owners Valerie Stafford and Fred West purchased the building in 2009, refurbished the interior and reopened in February 2010 with movies every weekend. The Theatre has also become a hub for live performances and classes and houses a fitness studio. Recognizing a lack of resources for the gay, lesbian, bisexual, and transgendered (GLBT) community in Skagit County, a group of concerned individuals saw a need to establish a PFLAG Chapter. This group consisted of parents, family and friends of gay and lesbians; gay men, lesbians, and the transgender individuals. They came together for their first meeting in September of 2000, and have been meeting on the second Monday of each month ever since. Members now come from all parts of Skagit County.